for all your Office and Window Cleaning needs in London. 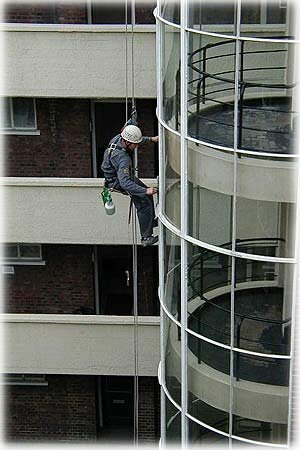 Ultimate Cleaning Services Ltd provide a first-class office and window cleaning service in London, specialising in those awkward places using 'reach and wash' & 'power access' techniques. We pride ourselves on our expertise, experience, resources and ability to provide a fresh approach to your cleaning requirements. Carpet cleaning hot water extraction and bonnet buffing. Office cleaning solution to suit budget using experienced office cleaners. Window cleaning using safest and most suitable window cleaning methods. Reach and wash system for inaccessible roof or window cleaning. Power access cherry pickers or hydraulic platforms for high-rise window cleaning. Commercial cleaning offices, banks, shops, hospitals, schools & builders cleans etc. Acid clean removal of unwanted oxides and deposited scales from pipe surfaces. Pressure clean restore your sales forecourt, driveway or patio. WC1 Bloomsbury, Gray’s Inn, WC2 Covent Garden, Holborn, Strand, EC1 Clerkenwell, Finsbury, Barbican, EC2 Moorgate, Liverpool Street, London EC3 Monument, Tower Hill, Aldgate, EC4 Fleet Street, St. Paul’s, SE1 Waterloo, Southwark, Borough, SE2 Abbeywood, SE3 Blackheath, SE5 Camberwell, SE6 Catford, SE7 Charlton, SE8 Deptford, SE9 Eltham, Mottingham, SE10 Greenwich, SE11 Lambeth, SE12 Lee, Grove Park, SE13 Lewisham, SE14 New Cross, SE15 Peckham, SE16 Surrey Docks, SE17 Elephant & Castle, SE18 Woolwich, Plumstead, SW1, Westminster, Belgravia, Pimlico, NW1 Regent’s Park, Camden Town, W1 Mayfair, Marylebone, Soho. for contract office and window cleaning in London.